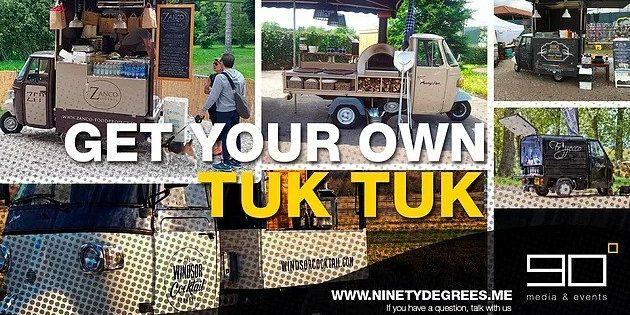 The use of creative mobile stands provides a great eye-catching and unique marketing method and the newest trend is Tuk Tuk customization. In Europe the increase of tuk tuk’s use as part of marketing purposes have grown considerably, and bigger businesses have already ridden the wave. Why this type of advertising is so effective and how could this vehicle be of great benefit to your business? Contact us or drop us an email and will answer all your questions and requests. International breweries, food giants, film companies, banks and more have all employed customized tuk tuk s to promote their brand. What are you waiting for?